Rev. 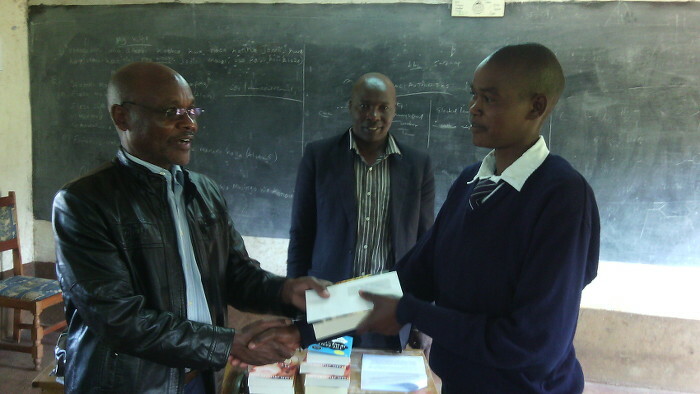 Joseph Rono handing Joan the First Place award of $100 to be used toward her class and her own education. We send a renowned work of fiction or nonfiction to all Finalists. 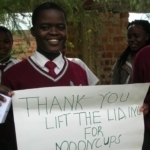 Lift the Lid helps schools in Kenya and the Philippines, schools with little more than a roof and four walls. 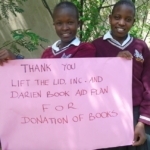 Since starting in 2010, LTL has raised over $80,000, 100% of which funds scholarships and projects that improve the students' education -- projects such as building classrooms, buying uniforms, shoes, books and school supplies, implementing and sustaining a lunch program, providing learning tablets with training, and making menstrual cups available. 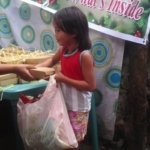 Lift the Lid has also started a band at The School in a Cart in Cubao, the Philippines, providing ongoing free music lessons and has funded a summer school program. 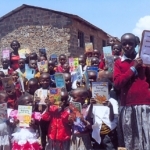 Currently, Lift the Lid's focus is on raising money to build a library for Mogonjet Secondary School and surrounding community in Bomet County near Kericho, Kenya. Along with an annual writing competitions, LTL makes yearly book donations in an ongoing effort to build/expand the schools' libraries. Finally, LTL has published over 150 students' personal essays, letters, and poems, which adds up to a lot of reflection, expression, and believing in oneself! 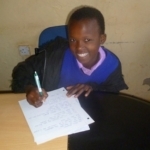 Lift the Lid believes that encouraging students to write instills confidence and hope. It also sends the message that someone cares. 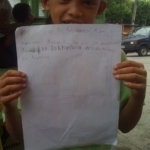 Sometimes that’s all it takes to reveal the hidden talent in children and to give them a better future. Click on the above photo to read Joan Chepngeno's essay, "An Unforgettable Lesson." 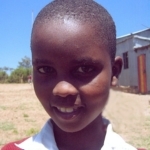 Joan placed First in Lift the Lid's 6th Annual Writing Competition at Mogonjet Secondary School. 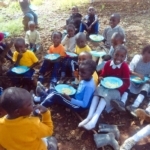 Please consider helping the schools we support in Kenya, Tanzania, and the Philippines. You can make a secure donation HERE. 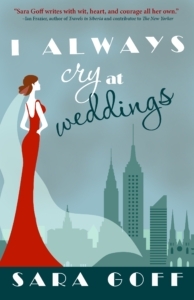 Proceeds from Sara's novel I Always Cry at Weddings benefit Lift the Lid! This link takes you to Amazon Smile, where with every purchase, Amazon makes a donation, too.